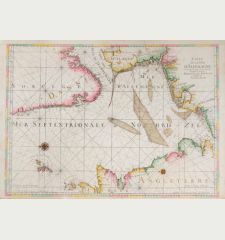 Very large scale seachart of the Atlanic Ocean from J. van Keulen. 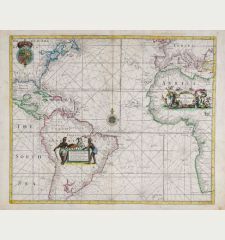 Showing the west coast of Africa down to South Africa and Brasil in the West. 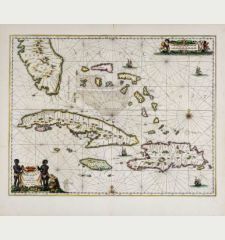 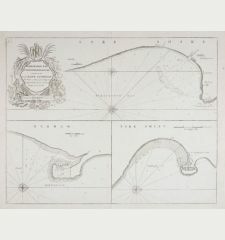 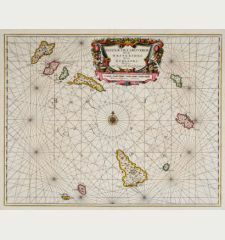 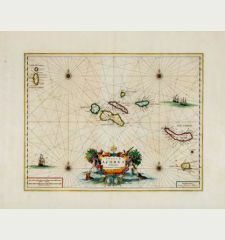 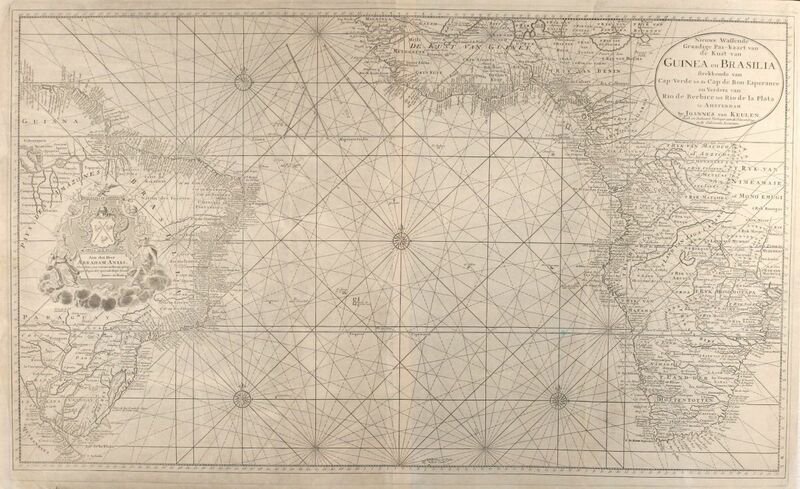 Exceptional for a nautical chart, a lot of inland details are shown in Africa and Brasil. 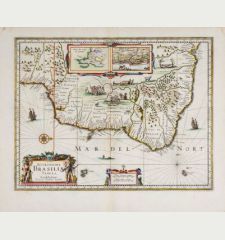 With one large cartouche in Brasil. 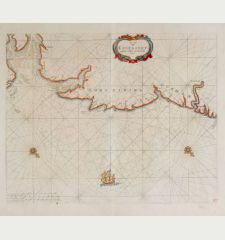 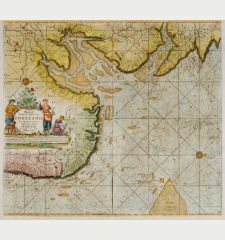 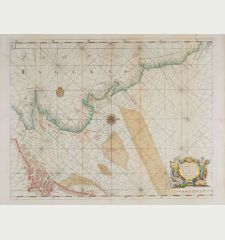 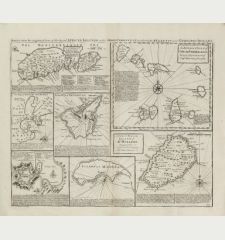 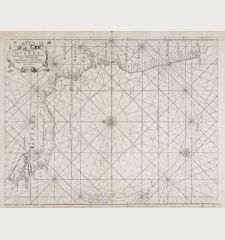 Title Nieuwe Wassende Graadige Pas-kaart van de Kust van Guinea en Brasilia strekkende van Cap-Verde tot de Cap de Bon-Esperance en Verders van Rio de Berbice tot Rio de la Plata te Amsterdam by Joannes van Keulen. 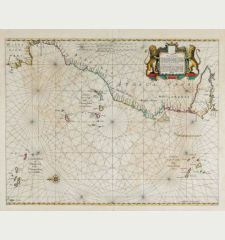 Professional restored crease in left area, several small creases in margin repaired, to small green spots left to south Africa. 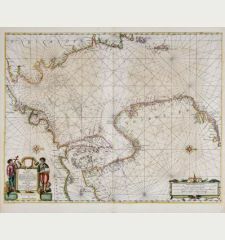 Overall in very good decorative condition.